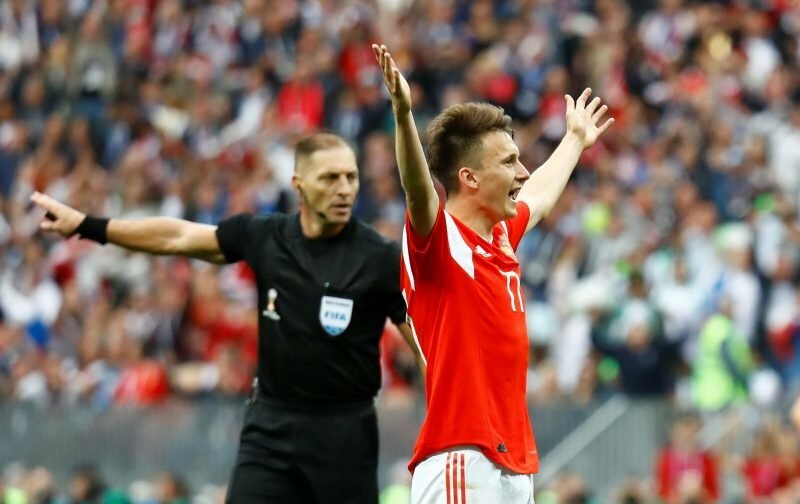 Earlier this summer, one of the more persistent pieces of transfer tittle-tattle linked Chelsea with a move for the CSKA Moscow midfielder Aleksandr Golovin. The 22-year-old showed during his appearances for Russia in the 2018 World Cup that he was a talented operator. But, despite the constant mutterings that he was indeed bound for London, the most recent speculation, coming from the Italia news source, tuttosport, suggests that the player is not in favour of a move to the capital city. Instead, it’s being championed that Golovin has his sights set on a move to Serie A with the reigning title holders Juventus. If so, that will be disappointing news, Golovin will, as far as we’re concerned, go on to be a world-class player and we were hoping that it would be in the famous blue shirt of Chelsea as opposed famous black and white striped shirts of the Old Lady of Turin! Here at Vital Chelsea Towers, we’re at a loss as to why anybody would prefer life in Turin as opposed to a stint in London. Champions League football every year??? ?